We’d like to invite you to 2018’s first organisational meeting of the annual Climate Camp in the Rhineland coal field. It will be hosted at the SubstAnZ on Osnabrueck from the 26th to 28th of January 2018. We’ll start on Friday at 6.30pm with dinner, the plenary begins at 7.30pm. On Sunday we’ll finish at 1.30pm – by having lunch and clearing up together. 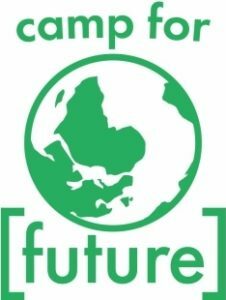 During this weekend, we want to develop visions and perspectives for a potential climate camp in 2018. We want to take some time to imagine, to discuss, but also to agree on some specifics – when the weekend is over, we’d like to know what the organisational group is going to set up this year, and also when it’s going to happen. We are looking forward to having many people there whom we already know, but we’d be especially delighted to welcome many new faces. As it’s early in the year, now is the best time to get to know our working structures, to help shape them, and to continue developing strategies for a coal phase-out and for climate justice. We already started working on what we’d like to do in 2018 during the evaluation meeting we had last autumn after the climate camp of 2017. We shared our dreams and visions and had many lively discussions, which made us realise that many of us would like a calmer camp than the last ones, one in which we have time to work on our internal processes, to reflect on strategies, and to find a good way of dealing with our own resources, rather than organising a big camp once again. Many of us also wanto to build on the positive interactions with some of the villages’ inhabitants and the bonds with them that started to grow stronger in 2017. But of course, the shape that the camp and its preparation process take this year strongly depends on who gets involved. No matter whether you have specific ideas for this year’s climate camp or whether you just want to get to know the group and our work – you should definitely drop by! Shortly before the meeting you will receive another email with a more detailed schedule. Generally speaking, we want to work on the blurry visions we have so far, and turn them into a more specific ”what, when and where” regarding a possible climate camp in the Rhineland coal fields in 2018. If you want to get this information, please send us an e-mail to klimacamp-im-rheinland [at] autistici.org. It would be really helpful if you signed up to the dudel-survey. That way we know how many people to expect and for how many people our kitchen crew will need to cook at each meal. Please also use the dudel to let us know whether you want to sleep somewhere other than the autonomous centre, or whether you need someone to look after your little companion during the meeting so that you can take part in the discussions. How to get there? You’ll find your way easily – the SubstAnZ is only a few minutes walking distance from the train station. 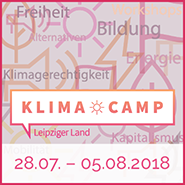 If you have any other questions, feel free to contact us at klimacamp-im-rheinland [at] autistici.org. We are looking forward to getting together with all of you, and to see what this exciting year will bring – including all the ideas and discussions, the celebrations and the struggle we share! ⟵Come to the Climate Camp-block at the big demonstration in Bonn!